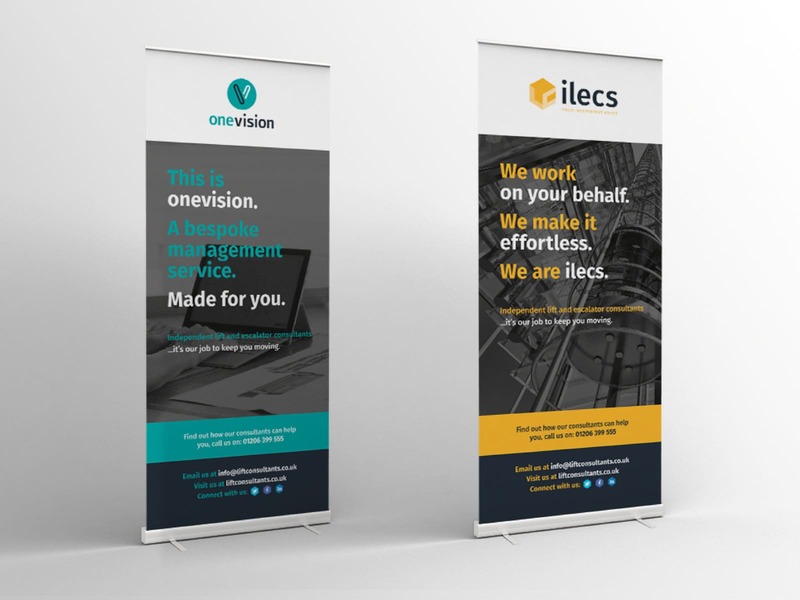 ILECS is an independent consultancy involved in all aspects of the lift and escalator industry, from design and engineering, to administration support and lift management. ILECS recognised that to progress their brand, they needed the support of an agency who could understand their business and deliver a plan which met their new direction. Early objective setting and close collaboration with ilecs throughout the information gathering phase made for a productive working relationship. Workshops were used as a device to share knowledge and gain insight with a strong emphasis on understanding the business, its people, challenges and target audiences. With a foundation of insight, we ensured the development of a new brand that was an evolution of its previous identity. It was informed by the customers, employees and the future vision for the company. Beyond the primary brand, we worked with ILECS to review its brand architecture and product brand development. Furthermore, we built a new website to communicate this brand evolution. The creative process helped ILECS to raise employee morale by building on their internal brand. The solutions we developed increased customer perceptions and brought more traffic to the ILECS website that in turn improved the quality of leads. Our specialists also delivered a series of training sessions to enhance the company’s internal marketing capabilities. Mackman now operates as a partner to support ILECS with more specialist marketing activities and on-going strategic planning. Engagement levels among employees are significantly higher, positively impacting productivity at ILECS. Having conducted benchmark customer perception & satisfaction research, we will be re-running comparative research on the 12 month anniversary. Indications from senior management are that the brand development has been extremely well received and that customer satisfaction levels are elevated. The quality of leads and sales inquiries has significantly improved as a result of the step change in marketing activities. Senior management are delighted with the return on marketing investment.